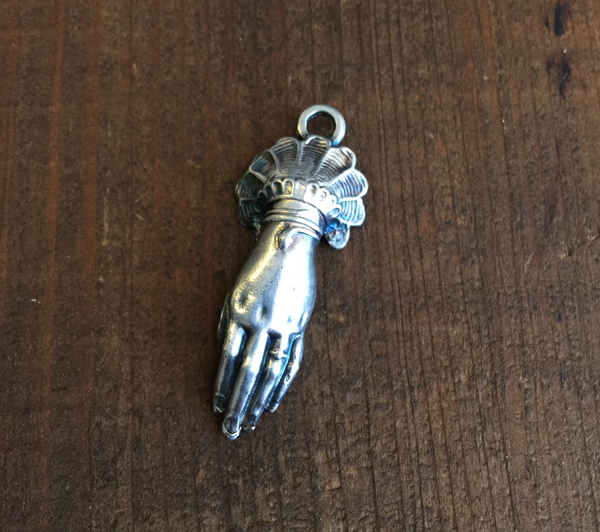 We loved this old French stamping so much we had it cast and filled three different times by two vendors to bring it to you as this pendant. Measuring 50mm in length, this has been cast in lead free pewter and clad in sterling silver. Her beautiful hand emerges from a lacy cuff, and her wrist is encircled by an asp! By the piece.